The man took me to the North Pole six years ago. Thus I owe Thomas Ulrich a lot. At the time of our last degree expedition, the 47-year-old adventurer from Switzerland proved to be a prudent and motivating expedition leader. Also this year, Thomy led a group on skis, pulling sledges, the last almost 120 kilometers from the 89th degree of latitude to the North Pole. A week ago they reached 90 degrees north. In contrast to 2009, Ulrich did not fly with the other expedition members by helicopter back to the Russian ice station “Barneo”. Thomy wanted to ski towards Canada, solo and unsupported. His destination: Ward Hunt Island, 800 miles from the North Pole. Ulrich thought that it would take him 30 to 40 days to reach the island. Previously only his Norwegian friend and former expedition partner Borge Ousland had soloed the distance. But after a few days Ulrich turned around again. Despite whiteout and storm he initially made good progress, because he was able to use his kite, told Ulrichs Swiss friend and business partner Hans Ambühl. Thomy skied 80 km in the first three days. However, he had to survive several critical situations – like this: Over night suddenly a wide crack opened in the ice just two meters from his tent. Two meters between life and (most likely) death. Thomy became aware that in contrast to earlier expeditions he was no longer ready to take “an unlimited risk”. “The joy gained from overcoming difficulties and maybe even mental boundaries no longer outweighed for him the necessary physical and psychological pain inevitable”, writes Hans. 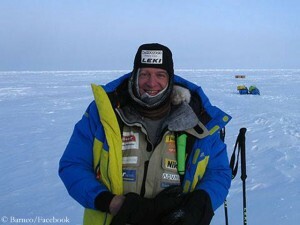 Thomy wants to return via the ice camp Barneo and Spitsbergen to Switzerland. Originally, he had seen this year’s solo expedition as a test run for an even bigger project in 2016: crossing the Arctic from Russia via the North Pole to Canada. Will he now, after the experiences he made last week, bury his great dream? In 2006, his first attempt had failed shortly after the start from the Russian mainland. Ulrich was then rescued by helicopter from an ice floe. “Failure is possible. I don’t want to fail”, Thomy writes about his project “Transarctic Solo 2016”. “And yet, a back-up rescue and emergency plan must exist. 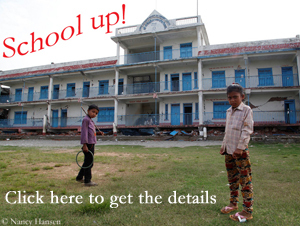 Everyone involved, including myself, must know what to do in the worst of all cases. Responsibility also means dealing with these scenarios as relentlessly and intensely as possible, in order to effectively prevent them.” Already a year earlier Thomas Ulrich has proved his ability to make responsible decisions. David Lama: Lunag Ri, third take! There is a proverb in German speaking countries saying: “Three times is divine”. 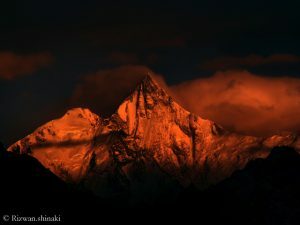 Once again David Lama is currently tackling the still unclimbed 6895-meter-high Lunag Ri in Nepal – however, this time on his own from the very beginning. This is a real milestone. 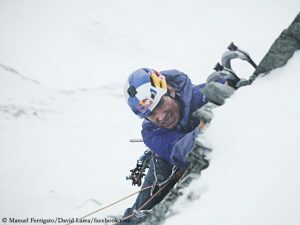 The Austrian Hansjörg Auer says, he succeeded the first ascent of a big wall of a seven-thousander in the Karakoram – solo. “I climbed the West Face of Lupghar Sar West for the first time. “I expect for sure some intensive moments,” says Hansjörg Auer. 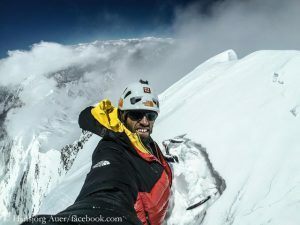 The 34-year-old extreme climber from Austria set off to Pakistan last weekend for a solo project. Hansjörg will tackle the West Face of the 7,181-meter-high Lupghar Sar West.